Ducati's Multistrada range needs no introduction as one of the most popular families of adventure tourer motorcycles globally. 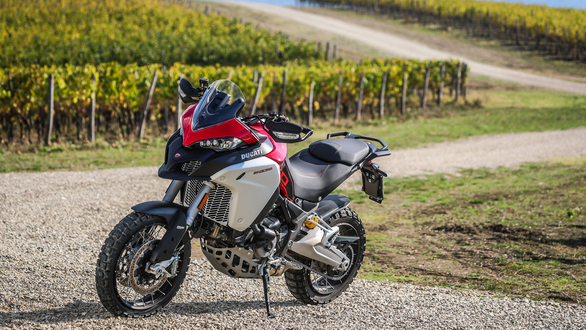 Over the past year, the Italian manufacturer has been giving the entire family a midlife update and the Multistrada 1260 Enduro is the latest to get a slew of upgrades. As we've said in our first ride review, the updated motorcycle is a significant improvement over the last version and also feels better equipped to take on the competition. Here's the top five things about the 1260 Enduro that we think you should know about. 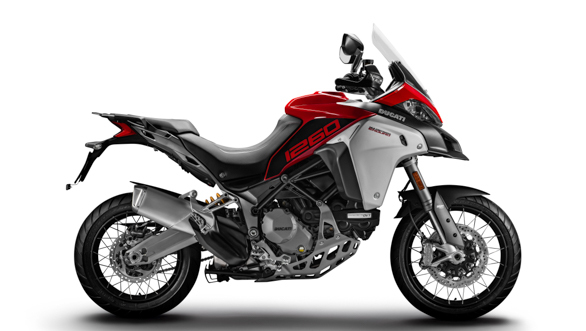 The Multistrada 1260 Enduro is powered by Ducati's 1,262cc Testastretta DVT V-twin engine. 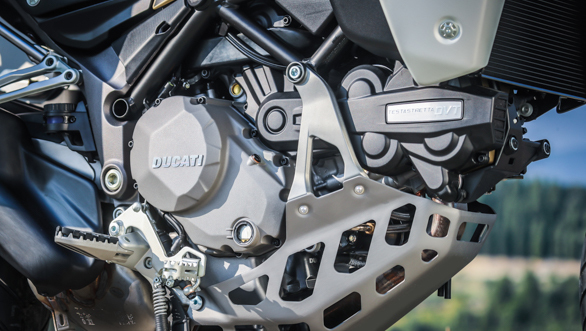 This engine powered the Ducati XDiavel first, and also powers the Ducati Multistrada 1260, Multistrada 1260S and Multistrada 1260 Pikes Peak currently. The 90-degree V-twin engine is in the exact same state of tune here and offers 158PS and 128Nm, an increment of 6PS over the outgoing version. Its biggest highlight is the improved torque delivery at lower revs, as the engine offers 85 percent of its peak torque between 4,000rpm to 6,000rpm, resulting in a torque curve that's a lot flatter. First and sixth gear have been shortened as compared to the 1200 Enduro, though others ratios are identical. Oil change interval is 15,000km while Desmo service including valve clearance check is at 30,000km. 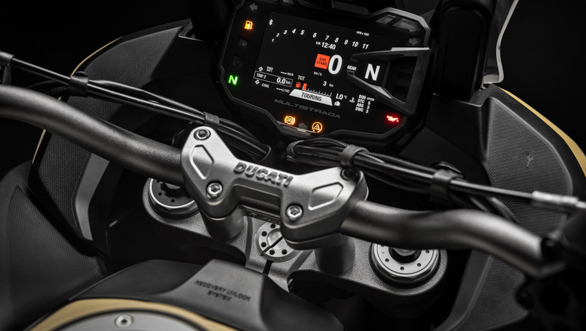 The Multistrada 1260 Enduro comes equipped with an updated electronics suite. One of the biggest additions has to be DQS or Ducati's bi-directional quick shifter that allows clutchless up and downshifts. You can shift up without having to close the throttle and the engine also auto-blips for downshifts. The quickshifter is particularly helpful when riding off-road while standing up on the footpegs, as it allows you to focus better on the road. 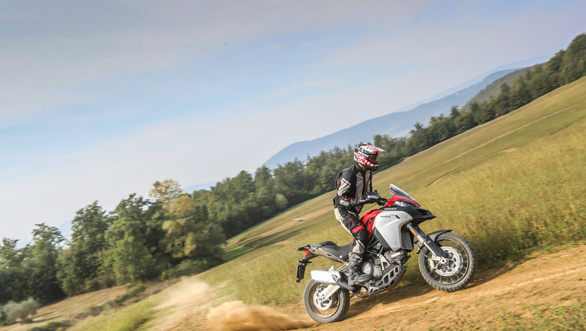 Riding modes haven't changed and the 1260 Enduro offers you Sport, Touring, Urban and Enduro modes just like before. Every single aspect of each riding mode can be customised as well. 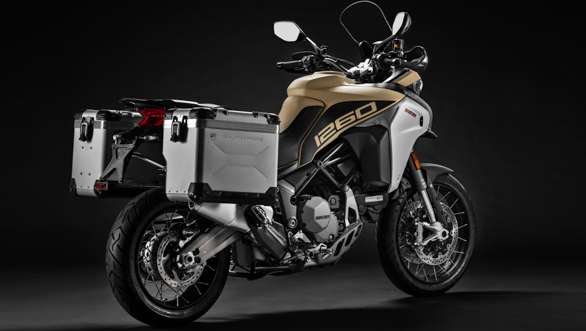 There's a six-axis IMU on the Multistrada 1260 Enduro now just like the 1260, thanks to which Ducati has been able to equip the motorcycle with aids like cornering lights and cornering ABS. Wheelie control is part of the package too, as are eight levels of traction control. The 1260 Enduro also get Vehicle Hold Control  a hard squeeze on either brake lever activates the brakes for 9 seconds, making it convenient to take off from inclines or slopes in case you stall the engine. Switchgear is backlit, while indicators are auto-off. Cruise control has been carried over as well. The 1260 Enduro also gets the same, higher resolution and brighter 5 inch TFT display as the 1260, which looks better and is easier to read as well. It also offers better views of the various customisation options through infographics now. Ducati has revised the riding position to make the 1260 Enduro more comfortable. At 860mm the seat is 10mm lower than before now, while the handlebar is 30mm lower and the footpegs 10mm lower as well. Tank panels have been redesigned as well to offer better grip to the insides of the rider's knees when standing up on the pegs and riding off-road. There's the option of a higher or lower seat as well, with seat heights being 880mm and 840mm respectively. The DSS (Ducati Skyhook Suspension) Evo has been recalibrated to offer better feedback and also improve the bike's handling. This is a semi-active suspension that controls damping electronically using sensors at either end of the suspension which send information about the surface beneath to the ECU and IMU, who then adjust damping real time to offer the best balance between ride and handling. The 1260 Enduro runs on spoked wheels shod with tubeless tyres and the wheels are lighter than before, thanks to redesigned, lighter hubs. The engine sump is lighter as well, as is the swingarm, which has been redesigned to make it more compact than outgoing Enduro's unit. The new engine is heavier and so is the exhaust, as the end can is now longer to meet the stricter Euro IV emission norms. There is no change to the bike's overall weight thus, and kerb weight is the same 254kg as before. The DSS offers better feedback and thus affords greater control of the motorcycle to the rider, especially when riding off-road. Throttle response has been made even smoother which offers more precise control, especially when rolling the throttle on at crawling speeds on tricky surfaces. The traction control system in Enduro mode has been refined further to ensure the electronics allow you to slide the rear wheel a bit without scaring yourself, and even when the system cuts engine power the cut-off isn't abrupt, thereby ensuring the rider isn't startled by the sudden loss in power. A lot of credit for the improved handling off-tarmac goes to the six-axis IMU, which sends accurate information about the bike to the ECU real time, which helps the ECU send the right amount of power to the rear wheel.